A Connecticut divorce can be a financially challenging, stressful, and emotional time. Susan T. Perkins understands this and can help you get a fair resolution to your divorce. Every divorce is different, and you want an attorney that understands that. Whether you are a father trying to obtain custody of your child in a system that may seem impartial to keeping children with their mother’s or you want to make sure that you leave the marriage with the assets that you brought into it, Susan T. Perkins can help. Marriage is a legally binding contract of sorts, and divorce is the legal termination of said contract. There are a few things that you should know about Connecticut divorce laws before you proceed. Connecticut is a “no-fault” divorce state. This means that the only requirement to file for divorce is that the marriage has “irretrievably broken down.” However, this does not mean that actions by either spouse will not be considered while making a judgment in the case. The court can still consider one spouse to be at fault for the divorce. In most cases, fault has little impact on divorce proceedings unless it is egregious. Abuse or an affair are two egregious actions that the court takes very seriously while making a decision in a Connecticut divorce. There are two types of Divorce in Connecticut, an uncontested divorce and a contested divorce. In a contested divorce one of the parties does not agree with the divorce or the terms while an uncontested divorce is one in which both parties agree to everything. Most divorces start out as contested because it is very rare that couples agree on everything from the start. The idea is to use tools like mediation and the court system to find an agreement that both parties can accept. Start Saving: A divorce can be an expensive process, especially if it becomes a contentious and lengthy battle. You want to set yourself up for success by saving money. If you are in a financial bind you may be more likely to accept a less than favorable agreement. Gather Financial Information: Gather all of the financial information that is available to you. The more information the better. Even if you don’t think that the information is important, give it to your attorney. Protect Your Mail: You want to be able to protect any new accounts or cards you may open in your name. The best way to do this is by setting up a P.O. Box or having your mail sent to a friend or family member. New Accounts: Make sure you open new credit cards or bank accounts. Continuing to use joint accounts or credit cards is a recipe for disaster. Track Your Credit Report: Make sure there are no new joint accounts or cards opened after you file for divorce. Inventory Your Property: The best way to make sure that you leave the marriage with all the assets that you had when you entered it is to make a detailed list of all of your property. A great way to come to an agreement with your spouse is through mediation. Mediation is much less formal than court hearings and therefore the process lends itself to creating an open line of communication between the two parties. Mediation can significantly decrease the length of your divorce battle. There are also costs saving involved as compared to standard court hearings. Discuss how the mediation process can benefit you with your Connecticut Divorce attorney. 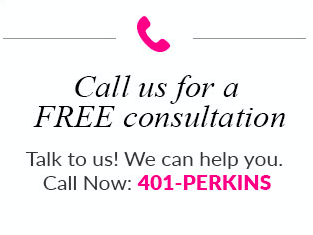 Attorney Perkins’ is willing and able to help you with all of you Connecticut divorce and family law needs. She can also guide you through your Connecticut child custody battle and alimony case. Susan T. Perkins is a member of the Massachusetts, Connecticut, and Rhode Island Bar Associations.